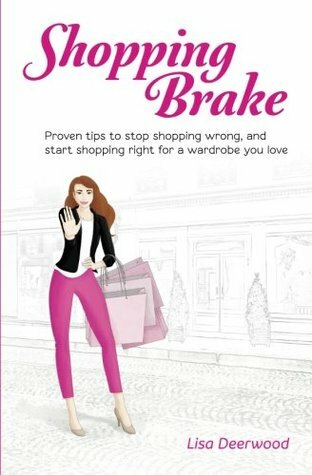 Shopping Brake — The Book now available on Kindle! I’m excited to announce a new addition to the Shopping Brake Family today! The current working closet is looking a little crowded. I’m halfway through week 10 of the The DH Closet Challenge Part II-Wardrobe Refinement. This post is the continuation from my week 8 check-in, my apologies for the delay in writing this number crunching post. Items on the left are new additions, items on the right are to be purged. I’ve just completed Week 8 of The DH Closet Challenge Part II-Wardrobe Refinement. There was no check in for weeks 5 or 6, because I had no changes to either my working wardrobe or the boutique. However, for week 8 I’m back to shopping and adjusting both my working closet and the boutique. Sticking to the rules of the challenge for every item going into my wardrobe, double the amount is removed. That’s a tall order for someone who typically struggles to let go of their clothes. Six pairs of unworn jeans in the boutique. I’ve just completed Week 5 of The DH Closet Challenge Part II-Wardrobe Refinement. This past week I tackled why the boutique has been on my mind. While I added 5 items to my working closet, I did manage to purge 10 from the boutique. Of course, once I get started with a closet purge, I usually keep going. After removing 10 items from the “2 for 1” purge during the week, I set my sights on another category within the boutique—Jeans. For the past 5 weeks, I’ve managed just fine with 7 pairs of jeans, yet I still have 6 jeans sitting in the boutique. Five new additions to the working closet. In my last check-in I was happy to report that I did not add anything new into my working closet from the boutique during week 4. Yet, despite this achievement my wardrobe, or more specifically the boutique itself, was constantly in my thoughts. To find the answer, I went back to my behavior over the last week. I did not add anything to my working closet. Again, I asked, why? I looked at the working closet. Right now, I really like everything I’ve selected. I went back to looking at the boutique and the light bulb went off. DH Closet Challenge Part II-Wardrobe Refinement boutique after 1 month. I’ve just completed week 4 of The DH Closet Challenge Part II-Wardrobe Refinement. As I stated during the Week 3 check-in, for Week 4 my goal was to NOT add anything to my working closet. And I am happy to report, that I did not. Yay, progress! DH Closet Challenge Part II-Wardrobe Refinement working wardrobe after week 3. I’ve just completed Week 3 of The DH Closet Challenge Part II-Wardrobe Refinement. During last week’s recap, I mentioned that my plan for Week 3 was to remix everything I already have in the working closet and to not add anything from the boutique. But life doesn’t always like a plan, and I was given a curve ball—spending my vacation in a climate much colder than my own. This meant I had to add yet MORE items to my working wardrobe. At first, I was horrified.